Hello ... Hello ... my old friends ... It's great to see you once again! In the month when Joe Walsh released his first solo album "Analog Man" for twenty years - which is produced in part, course, by Jeff Lynne - Yours Truly KJS finds it of no coincidence that tomorrow [Friday 22nd June]. 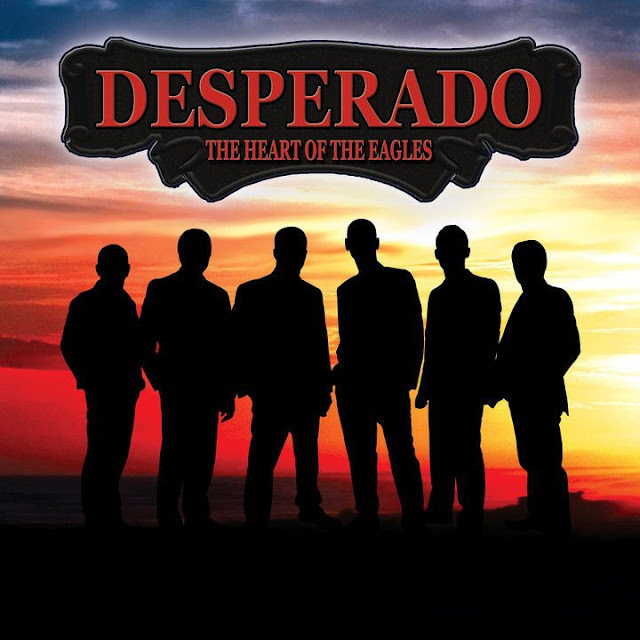 I'll be attending my first ever gig by premier UK Eagles tribute band Desperado at the Prince of Wales Theatre in Cannock. The musical connections between ELO and The Eagles appear to be strengthening significantly. I say this because two  members of Desperado - Chris Brighton and Steve James - were also founding members of The Abbey Road Experience - who, of course, also feature former ELO Part II, The Orchestra and Bev Bevan's Move member Phil Bates in their ranks. I'm very much looking forward to seeing and hearing this band tomorrow and will [hopefully] be publishing a review of the gig for ELOBF in the near future.